Karen Helfinstine's decades-long search for an accurate medical diagnosis for her daughter ended after she read a story from Mayo Clinic's Sharing Mayo Clinic blog. For the past 30 years, Karen Helfinstine has been on a search for answers for her daughter, Kari. That search began when the fontanel on top of Kari's head began to swell at 5 months of age. 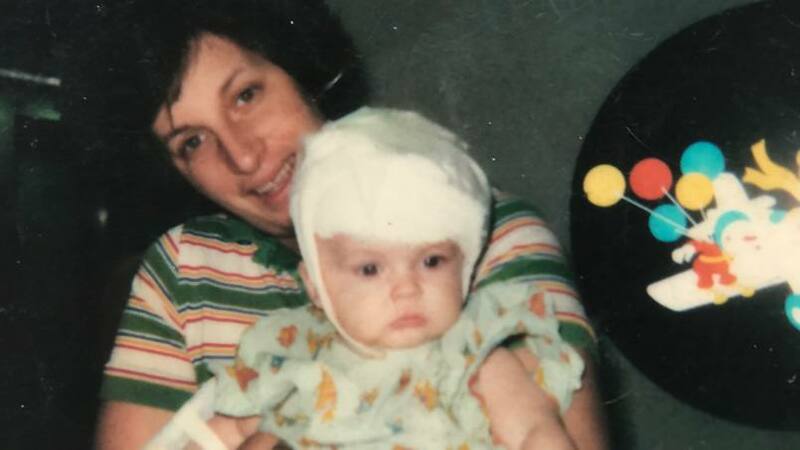 Doctors initially thought it was caused by hydrocephalus, but that diagnosis would change when Karen took Kari in for a CT scan in Minneapolis, where the family was living at the time. Doctors told Karen that her daughter had a tumor in the left parietal region of her brain. "It measured over 5 centimeters and had a huge amount of fluid around it," Karen says. "Her brain was compressed to the side and down." The next day, surgeons removed what a pathology report suggested was a cancerous grade 3 astrocytoma and put Kari on a 12-month chemotherapy regimen to prevent recurrence. As added insurance, oncologists suggested whole-brain radiation treatment. But given the long-term side effects such a procedure could have, Karen and her husband declined. Though Kari's surgery and chemotherapy treatments were successful, Karen says one of Kari's surgeons in Minneapolis "was never happy" with Kari's original diagnosis. During one follow-up visit, that surgeon gave Karen a copy of an article about five kids with symptoms similar to Kari's. But "with no internet at the time," Karen's attempts at additional research were limited. Thankfully, Kari remained cancer-free and thrived, though Karen's questions remained. Kari Helfinstine, left, with her mom, Karen Helfinstine. Then one day this past April, Karen found herself reading a story from the Sharing Mayo Clinic blog. As Karen read about young Rayna Speary, she found the parallels between her and Kari lining up. 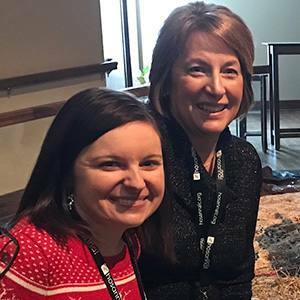 So much so that when she finished Rayna's story, Karen, an operations manager at Mayo Clinic's Rochester campus, reached out to David Daniels, M.D., Ph.D., the pediatric neurosurgeon featured in the story who removed the rare desmoplastic infantile ganglioglioma tumor from Rayna's brain. And she shared Kari's story. The next morning, Dr. Daniels responded, telling Karen that if Kari would be willing to send him her original pathology report, he'd take a look. A few hours later, the report arrived in Dr. Daniels' office. At 5:31 p.m. that day, Dr. Daniels sent Karen another email: "Hi Karen. The mystery is solved!" he wrote. "I have reviewed the path report of your daughter, and one of our pathologists did as well. We both agree this is consistent with a DIG or DIA (desmoplastic infantile ganglioglioma/astrocytoma) ... This diagnosis was not known when your daughter had her surgery." Dr. Daniels also confirmed that the decision to forego radiation therapy was the right one. "Radiation at 2 would have had long-term effects," he wrote. Karen, as one might guess, was overcome with emotion. "Oh my word … I cannot believe this!" she replied. "When I read that article all I could think of is … that sounds like Kari. I cannot tell you what this has done for me and my husband, and will do for Kari as well!" What it's done for Kari, a kindergarten teacher in the Twin Cities, is close the door on 30 years of uncertainty. "It means a lot to me to have a diagnosis after all this time," she tells us. "Getting closure was an unexpected blessing." As was Dr. Daniels' role in making it all happen. "Dr. Daniels has reminded me once again what an amazing place Mayo Clinic is," Karen says. "He doesn't know me at all, and had no obligation to do this. And yet he helped me in ways that I will never be able to adequately thank him for." You can adequately bless us by sharing your comments below and by sharing this story with others using the social media tools atop this page. Karen, what wonderful news. I have a lot of respect for Mayo. They helped Jeremy so much.